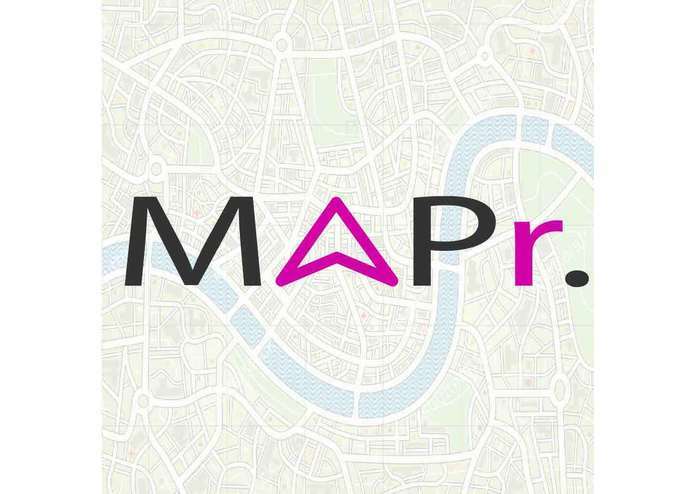 MAPR is an Intelligent Augmented Reality Navigation App. MAPR is made up of two screens: the Map screen and the AR screen. On the Map screen, users can find the destination they want to get to, and receive standard maps navigation in multiple modes of transport. 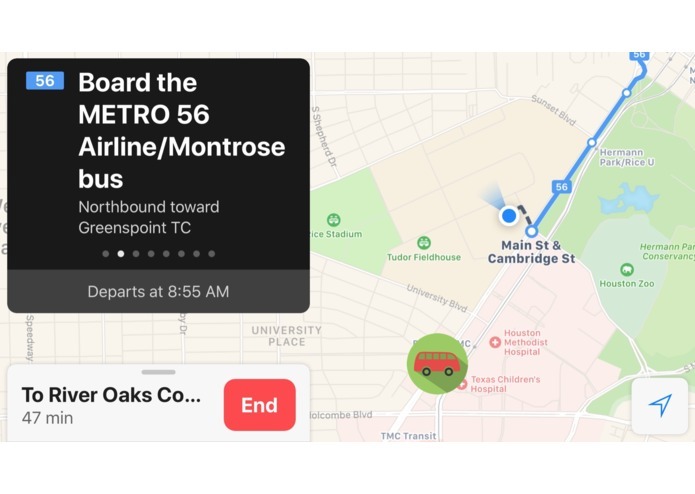 Furthermore, MAPR connects to the Rice RideSystems API and Houston Metro API to gather the realtime location data of buses, displaying them on the map. When a user chooses to take public transport, the app intelligently shows them the location and other information about the bus they are taking. 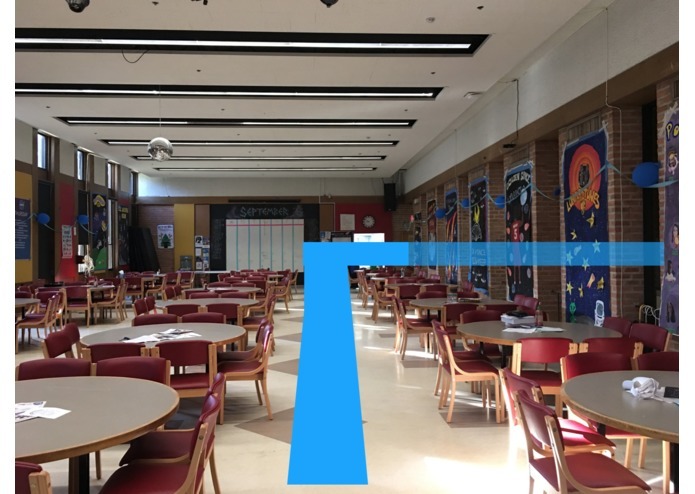 On the AR screen, users can find an augmented reality guidance arrow that highlights the path they should take. This guidance systems allows individuals unfamiliar with the place or who have difficulties navigating with a map to intuitively find their way around. The app also displays ‘markers’ or large arrows in the sky that point down to key landmarks and places, and the real-time location of buses. This allows users to easily see where their bus is (‘Oh! It’s right behind that building!’), and thus better plan and avoid missing their buses. We also intend to integrate other forms of data to more intelligently service users’ navigational needs, such as the location of bathrooms. We can also collaborate with bike-sharing services like vbikes to place AR markers on their bikes so that users can find them more easily. I developed an algorithm to scrape real-time GPS data for Rice University bus systems. The data is used to dynamically change the location of the bus annotation on the map and show users where they are at any given time. This was my first iOS application and first time using Swift. This was the first app I ever developed. For this project, I learned basic swift to help develop the app. I also designed the apps icon and other graphics.